An article on Peter J. Carroll’s website, “The Neo-Platonic Chocolate Screwdriver” (2014), sets out to examine why so many magickians and mystics “seem quite unaccomplished or dysfunctional on the material plane and so frequently penniless”. Carroll’s answer lies not in anything obvious, such as inequality of opportunity, or persons having different criteria for accomplishment from his own, but in the adoption of the neo-platonic worldview. positing the separate existence of the ‘essences’ of phenomena […] Basically in Platonism ‘whatever you can think of’ acquires some sort of a transcendental reality as an ‘essence’, and sometimes as a ‘sentient essence’ as well. The problem with this worldview, according to Carroll, is its “insufficient reference to observed reality”. Essences cannot be sensed, and thus Neo-Platonism has “very low predictive power”, losing out to mechanistic thinking, which by focusing instead on what things do and how they work (rather than on pointless abstract speculation about what they somehow really are) is able to engage with reality more effectively. Already we have arrived at the central issue: the assumption that to know how to work a thing is to know it fully. But in his rush to have “strangled the last astrologer with the guts of the last spiritual master” (2000: 46), Carroll never properly investigated what the latter might have offered: an actual means of knowing things as they really are. Suppose I sit and stare at a blank wall. I experience the whiteness of the wall, its granularity, its undulations and cracks and scars. The details of the wall are endless, inexhaustible, revealing newer facets in each moment; indeed, what sense does it make to say this wall has some kind of singular “essence”? “Phenomena remain mutable, not fixed by essence”, Carroll asserts. “[P]henomena consist just of what they actually do, they don’t also have a separate abstract form of ‘being’, except in our minds […] phenomena lack any form of ‘otherness’”. But what he overlooks is that we also have the experience of our experience of the blank wall. This has none of the attributes of the blank wall (whiteness, crackedness, lumpiness, etc. ); all of those are within the experience of the blank wall. The level of experience I am pointing to is the shape taken by experience itself; not anything in experience. Let’s go to work, with Neo-Platonism! It usually takes considerable time and effort to develop awareness of this level of experience. Carroll’s talents are considerable, but a flair for meditation seems not to be among them. His meditative exercises for novices in Liber MMM (Carroll 1987: 14-16) are not suitable for developing this level of insight. Other forms of contemplation, however, can cultivate this level of experience that is the experience itself, from where it can be seen how any experience is the same as any other experience, regardless of its contents, or of who is having it. This provides access to a level of awareness that is universal, and casts an interesting and (at first) unexpected light on who can be said to be “having” this awareness, and on what its supposed object is. The biggest problem with “essence” is understanding what the word means. It is from the Greek, ousia. This may come as a surprise, but the level of experience I described above is what the neo-platonists actually meant by it, rather than what is understood by the terms it is usually translated into: “essence”, “substance” (ouch), or (slightly better) “being”. As Carroll suggests, essence (ousia) is not “observable” or “testable” but, as Grimes asserts, it may be grasped through becoming it. To do this, we turn the mind about upon itself, through contemplation, transcending sensory appearances to participate in Being directly. Essence (ousia) is not simply a concept or supposition, but a direct understanding attained through a practice. The idea that Neo-Platonism tried to set itself apart from questions later raised by psychology or phenomenology is mostly a product of the mistranslation and misunderstanding of ousia. Consider the following proposition as another route into Neo-Platonism: the thing we know the least about is matter. Why does an atomic particle act the way it does? We can perceive it, observe it, learn to predict its attributes and behaviours, but we cannot comprehend it “from the inside” in the same way as when we ask of another person: Why did he say that? We cannot predict with certainty the behaviours of even those closest to us, yet nevertheless we understand them deeply. Like us, they are a being, and so we can participate in their being; from the inside we grasp their “essence”. But the essence arises from our participation; it is not a separable thing “in” something. Carroll writes that for nineteenth century occultism, when it became apparent that “the adept can more or less manufacture gods and spirits to order”, this was another “crack” in the edifice of neo-platonic thinking, but hopefully it is clear by this point how it was nothing of the sort. Would the great minds of the Platonic tradition really have concerned themselves with a worldview so patently broken as the one Carroll describes? The earliest known analogue computer is the Antikythera mechanism, which has been dated (at the latest) to around the time of the destruction of Plato’s original academy (86 BC); in other words about 500 years before Neo-Platonism. Mechanistic thinking was already fully available to Greek civilization and its predictive power was well-understood; the Antikythera mechanism was an astronomical calculator. Yet by this time Plato’s ideas had already flourished for 400 years at the original academy, and would return again as Neo-Platonism (410-529AD). Why would the Greeks retain this so-called “chocolate screwdriver” if, apparently, they had a perfectly fine set of metal ones? 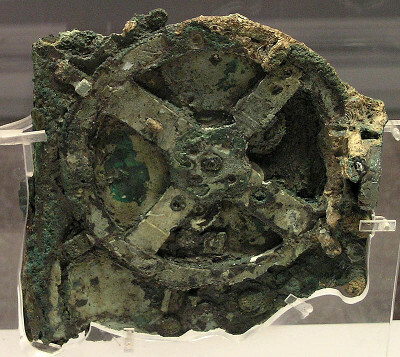 The Antikythera Mechanism: the predictive power of mechanistic thinking, five centuries before Neo-Platonism. Rather than providing understanding through participation in being, for Carroll Neo-Platonism is “a set of unfalsifiable ideas that have very low predictive power”. Regarding the hapless mages who lend credence to these useless ideas, “the more they let the Neoplatonic style influence their everyday activities the more of a mess they seem to get into”. Carroll was one of the figures responsible for re-inventing magick based on the concept of paradigm-shifting. He would not claim that the neo-platonic paradigm is wrong (because that would be a backdoor through which a notion of “truth” could creep in), but that the “mess” is caused because Neo-Platonism is a less useful way of negotiating the world. Yet seeking a useful paradigm is nevertheless to act on a basis of opinion and belief, because our choices are then guided by what we want. What is right and what is adventitious are not necessarily the same, but, as Socrates says: “what gives truth to the things known and the power to know to the knower is the form of the good” (Plato 1997: 1131 [VI, 508d]). In other words, understanding is aided by the greatest possible good. But where we are guided by want, rather than goodness, then what we merely believe to be best can come to stand in place of what is genuinely good. Mechanistic thinking delivers predictable outcomes, within its paradigm, but buying into the paradigm itself can confuse predictability with goodness. “We obviously don’t actually have fixed selves or souls or ‘essences’”, Carroll declares. “Watch a child grow, or more disturbingly, watch dementia take an elderly person.” But the neo-platonists watched children grow, and dementia was not unknown to them. These were as great a joy and tragedy to them as to us. Nevertheless they adhered to a meticulously reasoned and developed notion of the soul. Perhaps Carroll believes they were breathtakingly more stupid than he, or maybe he prefers the predictability of his own paradigm to the idea that, just perhaps, by “soul” is meant something different from what he has understood. Replacing truth with utility, and dismissing understanding for observation, has led to a “mess” that is, unfortunately, at the very heart of chaos magick in its present form. Carroll’s half-baked views on Neo-Platonism cast little light on his odd non-question about why others make less money than he, but perhaps some light on himself: he seems to regard the measure of a mage as his or her bank balance, and he is maybe projecting inferiority onto others. Other writings on his website suggest he will be joining, in spirit at least, the knees-up at the Brexit after-party, with Farage, Rees-Mogg, BoJo and company (Carroll, 2016). Their superior mechanistic reasoning renders their motivation inscrutable to the neo-platonic hoi polloi, but I would hazard a wild guess it might be, perhaps: stay rich, and get richer. All quotations in this article are from Carroll 2014, unless otherwise indicated. Peter J. Carroll (2014). 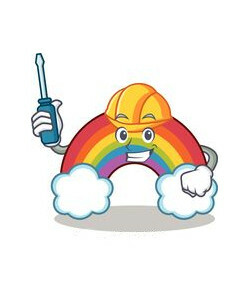 “The Neo-Platonic Chocolate Screwdriver” (specularium.org). Peter J. Carroll (2016). “Keep Calm and Carry On” (specularium.org). Peter J. Carroll (2000). PsyberMagick: Advanced Ideas in Chaos Magick, revised second edition (Tempe, AZ: New Falcon). Peter J. Carroll (1987). Liber Null & Psychonaut (York Beach, ME: Weiser). Pierre Grimes (1998). Philosophical Midwifery (Costa Mesa, CA: Hyparxis Press). Plato (1997). The Republic, trans. G.M.A. Grube & C.D.C. Reeve. In: Complete Works (Indianapolis, IN: Hackett).